Check out how easy it is to dry the most popular fruits, vegetables (even meats) ... how to choose a food dehydrator ... how to store dried food. Browse courses here. Drying tomatoes is easy, economical, and a good way to save some of summer’s bounty if you’re running out of room in your freezer or on your pantry shelf. The idea is simple: remove water from the tomatoes to preserve them. There are four methods for drying tomatoes. They are all easy! Choose the one that is best for you. Sun dried tomatoes: tomatoes are dried outside in the sun or in a very hot automobile. You’ll get best results when weather is low in humidity (less than 60%) with high temperatures (90ºF or more during the day). Oven-dried tomatoes: tomatoes are dried in your kitchen oven at about 200º F over a period of several hours. Dehydrated tomatoes: this drying method for tomatoes is the most reliable. 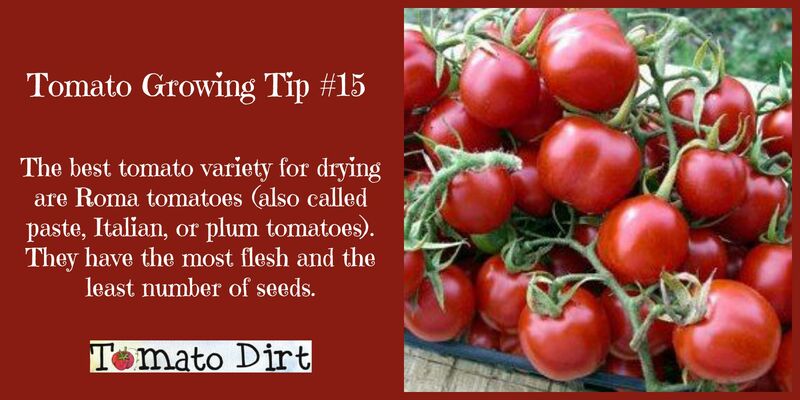 Tomatoes are dried in a food dehydrator as a blower or fan circulates air. Microwave-dried tomatoes: drying tomatoes in a microwave has some quirks and inconsistencies, but with patience and practice you can dry batches of tomatoes quickly. 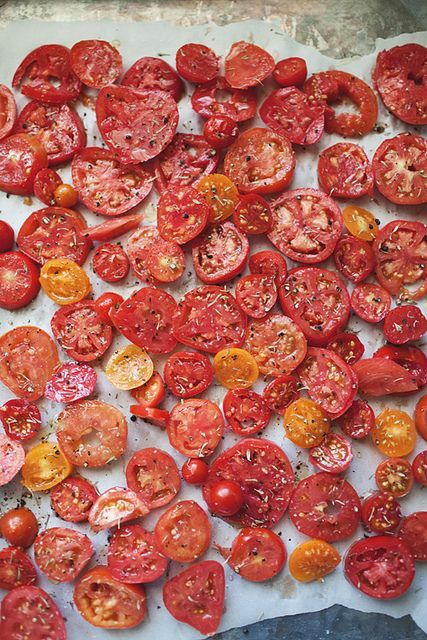 … and get more helpful tips about how to dry tomatoes on our Sundried Tomatoes Pinterest Board.